Work for Google Cloud Machine Learning Engine? Learning about Cloud Machine Learning Engine? "Best platform for developers and no one can beat here this platform "
Nothing is there to be disliked .. the only thing is that google should provide live chat for products other than this too. Otherwise the platform is fantastic ... And no one here can challenge it. The people who want to learn or those who want to create will be experiencing amazing things . We here at my coMpnay yawa this platform for our in company developer. They lesen and they create the best out of it. You cantik imagine what we have done with bus great platform ... Almost every thing is best. And no one can beat as always..
"Google Cloud Machine Uses and Experience"
I like the amount of storage you receive to store finished training modules. These training modules are usually used over and over but differentiated for every group as needed. I also like the guidance given throughout the wizards to help ensure your finished product is awesome. This program is compatible to many devices for me to use at home and at work. The program also uses my current Google drive if I want to for personal training portfolios and modules. Google drive is easily used with Google Cloud Machine because it allows me to share and collaborate with groups. I can also share with administration as necessary and other district members because they also use the Google platform for professional use. I disliked the way that the Google cloud machine learning did not have a common area to find previously created modules to use. This made it necessary to design from scratch. Sometimes time constraints made this difficult and time consuming. I recommend using it in a small group before implementing on a large scale. This ensures that you have worked out many kinks and glitches. I am solving the problem of more effective collaboration and training. Effective feedback can be given with the use of this software because learners can go through at their own pace. Self paced learning is essential in today's educational world. Many learners are learning differently so therefore the use of self paced training and learning is required. This software allows learners to work from anywhere and on their own time. This allows more learners to become engaged with this software and begin using it for personal and business use. "Bridge the gap between running models locally and distributed"
If one uses TF Estimators, running any tensorflow model in a distributed manner becomes absolutely seamless. Over the last few months, the product has become really stable, reporting more detailed and kept nicely up to date with the latest version of tensorflow. More examples on how estimators are used (Custom Estimators, Canned etc) would be great. Also, being able to run more than the current limit of 25? models in parallel would be great - we often run into our limti. Not having to think about the distributed nature of running models is a key win for us. We run simple as well as complicated models on Google Cloud ML Engine. Even when running small models which will easily run on a single machine, it made sense for us to use ML Engine - we are able to run a large number of smal independent models in parallel. "Google cloud Machine learning experience"
I like the measure of capacity you get to store got done with preparing modules. These preparation modules are generally utilized again and again yet separated for each gathering as required. I likewise like the direction given all through the wizards to help guarantee your completed item is great. This program is good to numerous gadgets for me to use at home and at work. The program likewise utilizes my present Google drive in the event that I need to for individual preparing portfolios and modules. Google drive is effortlessly utilized with Google Cloud Machine since it enables me to share and work together with gatherings. I can likewise impart to organization as essential and other area individuals since they additionally utilize the Google stage for proficient utilize. I think it's on cloud contrasted with other machine learning stages. So once in a while need to experience extra information administration ventures keeping in mind the end goal to put organization information on cloud. Have utilized it for a wide range of academic projects. Acquainted with NLP and discourse acknowledgment. I love the ability of the GC ML engine to be able to abstract the complexities of ML algos and enable users to learn and use ML using apis. That's simplicity is really awesome! I think that learning Tensorflow is still quite complex. It might help to have learning aids and prompts which point you in the right direction when Tensorflow does not work as expected. Trying to work up a virtual receptionist as a use case. I believe the best benefit is being able to scale up the infrastructure required for compute dramatically without any performance challenges. I like that Google Cloud takes care of ML End to End process flow, I can use buckets to store, tools for monitoring data quality, transform data and spin off TPUs and GPUs as needed for complex algorithms. Cloud Costs add up; Learning curve for ML/AI scientists to set up Dataflow, IOT, Pubsub etc. Python is not supported everywhere needing Java usage. Benefits: Better Monitoring of farming resources via processing satellite imagery, streamline Supply Chain operations and reduce backlog effectively, Generative design models for drugs, material science products, Automated Patient monitoring to save lives. "As a data scientist, I work on ML algorithms using google cloud"
The best of google cloud machine learning is it’s speed. I get minimal latency in my work compared to other data lake option we had in past. Also, I like the way google cloud provides an option to stich my company data with google adwords and double click data. Plus automated machine learning provided by google and tensorflow is additional advantages. I find google cloud ML a decent product but the only disadvantage I feel is it’s on cloud compared to other machine learning platforms. So sometimes have to go through additional data governance steps in order to put company data on cloud. As a data scientist team we need to build churn models and propensity model. Google ML engine helps in building those models and also understanding current customers issues using NLP on their complaints. "best serverless way to deploy a model"
I believe that the Cloud ML has helped us to face some business challenges we could not achieve without ML. We use to predict customer behavior and improve the company knowledge about the transactions. Although the great , I think the greatest difficult it is the lack of support and lack of materials we could use as reference to build our own architecture. The documentation could be used to help starters and experts what could be changed with different sections of that. Understanding customer behavior for marketing campaigns is much easier with GCP and Cloud ML. We can do this with high performance and great model accuracy. "poor documentation but great tool otherwise"
the lack of documentation. you have to guess the concept of operation, constantly go to the help in the command line to explore what is available..... the packaging of your code is annoyingh to do the first two times since you have to guess a lot by following examples. All this could be documented better. Seems like a tool build for cloud/software engineerings trying to do ML than for ML scientist and practitioners. solution as scale is the desired benefit. Building inference systems related to industrial systems. "Must have to get to next level of ML research"
Using scikit-learn with pandas and numpy is one way to do ML. But to get the efficiency of distributed training, ML Engine is a must have. Don't have a easy to follow tutorial to learn different aspect of ML Engine. For example, how to use ML Engine to run Hyper-parameter search, how to do data-parallel training or model-parallel training. Hyper-parameter tuning and data parallel training. "Serverless Machine Learning at Scale"
Google Cloud ML Engine is an awsome product from the Google Cloud Platform that let's you perform serverless machine learning training of models. It will also automatically optimize your models and last but not least let's you deploy your model in production in minutes. It still requires some coding ability but I guess that's normal we are still talking about machine learning. 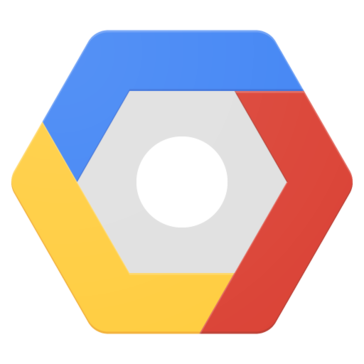 "Google Cloud Machine Learning Engine Review"
Our use cases will be mostly on shipment analysis and improvisations. The ease of describing the structure of my neural network and the ease of training it. I canno think of anything I dislike at the moment. The interface is much cleaner after the introduciton on Keras into this framework. ML models are developed using paths to local files. Updating models to use Google Cloud Storage is difficult and there is no documentation on Google Cloud on how to do this. Also updating python scripts to use argparse is trial and error with little documentation. "review for GCP ML API"
I used the computer vision, natural language processing engine. The API support is pretty well that I can write code quickly. Functions like Safe Search could be improved with more detailed information, instead of justing giving 0-5 ratings. Image rating with possible texts. The vision problem and text problem could be both solved by ML engine. "Easy to pick up if you have the experience"
Ability to quickly deploy out machine learning without the setup and operational requirements needed to complete the task. Wish there was more ux involved in the machine learning engine but I'm sure that will come. Requires some development skills and analytical skills and there isn't a simple button you can press. "Full cycle Machine learning "
Being able to do everything in a seamless serverless fashion. Not everything is tied neatly. Like Firebase data cannot be streamed to Cloud Pub/Sub so we can do machine learning. "Learing to use Machine Learning"
I am just trying to learn ML and registered in the ML boot camp. I am enjoying the lectures and how the boot camp is organized. I got the the info. on pre-requisites just 12 or so hours before the boot camp was supposed to start. "Google is the top leader in AI development"
Google AI, having enormous resources and brilliant people have developed AI that can buffer user data and process it in no time. What I dislike about Google AI is that they are pretty much monopolized the internet world, luckily they're still dependant on other companies. The functionality is awesome; ease of use is great as well. Nothing! The platform is awesome! There's nothing I dislike. None yet but I intend to develop use cases to solve current business problems in my environment! "Easy to use but a bit expensive"
I like how everything is REST based, which makes it easy to use. Moreover, the pretrained models are really useful, esp when the hard part of doing machine learning is getting training data. I don't like the pricing structure. For things like audio transcription and image recognition, it is fairly pricey, and there are no options to self-host the models (which is bad for hipaa complaince). Have used it for a variety of different side projects and in industry. Familiar with NLP and speech recognition. We went through an alpha with GCP particularly for AutoML. The onboarding and commitment of the Google Cloud team is an amazing experience. They seem to have to most experience on this topic compared to the other big competitors like AWS. The amount of categories is currently fairly limited, but this should expand anytime soon. We are exploring the possibilities of using AutoML to deliver more insights and intelligence to our CRM offering. We are in an early phase with this. Healthcare domain. Ability to identify the hospital readmission of patients. Through this API, hospital can serve better patient engagement and better outcomes. Google Cloud Machine Learning Engine has lots of build in functions in tensor flow and has datalab to run step by step. Sometimes it takes some time to go thruogh the help ducment. "Very easy to use the tensor flow"
the whole framework is in place to start with. the data collection api is good. the process to sample the data and create subset is clear. like the idea of data training and prediction. bootcamp is a good start and google cloud platform is worthy registration. would like it better to be able to register the bootcamp at home and start a free session that valid for a few days. don't have to set up the whole environment manually. Student tier compute engine jobs are very slow and takes forever. We are still evaluating ML use cases. "ML Engine enabled us to train and deploy large models quickly using TensorFlow." The open source TensorFlow library. Detailed tutorials that utilize pre-trained models to train specialized vision models. The model zoo. The console can be improved with better integration with tensorboard and jupyter notebooks. Automating vision tasks such as object detection. It is a managed service which allows me to focus on code. instructions could be simpler. I find it cumbersome to setup the model as python package. My ability to prototype has improved dramatically. "once you have the building blocks its great"
I like that it's serverless and runs deep learning jobs fairly fast. Easy for already made estimators and image processing where there is lots of examples. It's pretty hard to figure out if you are new to it. The documentation is hard to find/ or there is lack of documentation. Hard for custom estimators to figure out debugging and tensorboard also deploying the model for me was very hard. "Serverless ML dev, test and deploy"
The abstraction of underlying hardware and pay for what you use. I like that the instructors are knowledgeable, and that the training was well organized. I would like to see more of what's happening under the hood with some of the functions. For example, in the vocabulary_to_feat_cols() function (or similar), it would be nice to understand what this actually does. GCP Consulting projects as part of PSO. Benefits include: Hyperparameter tuning, storing different model versions, and visualizing training results in TensorBoard. "End to end flow for ML Apps"
"Everything better from I started using ML cloud"
Basically, we are training natural language processing models using Glove and Word2vec because NLP google API is very limited so far, we hope this API can be use in customer entities. "Use it for business needs"
Nothing really, the formatting could use tweaking. really love GCML. very easy to setup and use. "End to End Developer Experienced"
GCP machine Learning provides end to end support for a developer. I liked that the Google Cloud Learning Engine was easy to pick up. The only thing that I disliked was actually getting the software to run on my computer. Definitely give it a go because its easy to pick up. Right now we are trying to make trains learn through machine learning. We haven't experienced any benefits as of yet but we are working towards it. "Easy to use and scale"
"Review at Google Next Conference"
"Good for fast-paced machine learning algorithms"
Google cloud machine learning engine is very useful to solve every business problem. It is fast and easy to use. There is really nothing I did not like as of now because I am a new user. Last project I am working on is about predicting patient with certain problems thru EMS calls. "Google machine learning is very exciting"
The ease with which developers can get started with advanced tools and capabilities is impressive. I am looking forward to the capabilities Google Contact Center will provide when it's opened up to developers (and not just specific partners). Support chat bots enhanced with Natural Language processing, to reduce unnecessary escalations to advanced teams. Documentation needs to be updated. There is not enough documentation around to point out to right page where my question would be addressed. Tensorflow allows me to expirement, test with larger data and then deplow. Google Cloud ML enables those efforts really well. Tensorflow takes a little effort when compared to other options but GCP makes it worth the effort. We are exploring customer purchase behaviors and how weather impacts in store traffic. "I think ML engine is not user friendly." I like that the hypertune features to save my time to search the hyperparameters for the best model. Distributed training is also great. It is not very user friendly, and does not have a GUI to submit my training job. train and serve TensorFlow model without maintaining VMs. Not a data scientist but Google Cloud ML makes it easy to develop and train models. Pleased to hear that it now supports SciKit Learn and XGBoost. More tutorials and examples would be great! Using it to try to find trends in patient care and patient satisfaction. "Amazing to pipline model training and deployment!" I love how simple it is to connect to my data sources to import models, data sources and logging. Nothing really -- it helps to have someone walk you through it the first time. We're trying to spot trends among user requests and predicting problems. Learning about Google Cloud Machine Learning Engine? * We monitor all Google Cloud Machine Learning Engine reviews to prevent fraudulent reviews and keep review quality high. We do not post reviews by company employees or direct competitors. Validated reviews require the user to submit a screenshot of the product containing their user ID, in order to verify a user is an actual user of the product. Hi there! Are you looking to implement a solution like Cloud Machine Learning Engine?